The real estate market in Noida is flourishing with a number of ultra-luxurious residential and commercial developments by top builders. The social and physical infrastructure of the city is well-developed and giving reasons to investors and homebuyers to make a smart investment here. Those looking for quality living options in NCR can get their dream home in Noida. 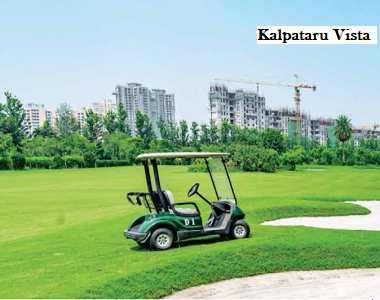 Kalpataru group – a well-known real -estate builder is coming up with a luxurious residential project Kalpataru Vista in sector 128 Greater Noida. The project has been designed by internationally renowned architects, where the residents will get more open space surrounded by nature, tropical environment and stunning views making the project finest of its kind. Last week, we visited the project location and it is really amazing in terms of architecture, amenities, interiors, and convenience. 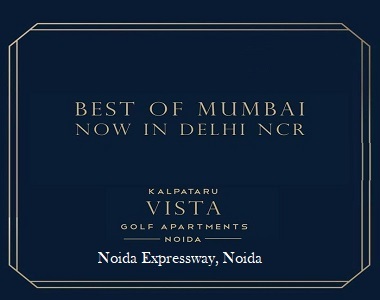 Kalpataru Vista Noida is a high rise residential property offering 3 BHK to 4 BHK luxury homes equipped with brilliant features and lifestyle amenities to elevate the living standard of residents. The size of the apartment varies from 1608 sq. ft. to 2126 sq. ft. with a price of Rs. 2.44 crores to Rs. 3.33 crores. The Apartments at Vista project re equipped with great interiors and have superb features like premium fixtures and stylish fittings that will let you experience classy living. This residential property will be the most luxurious and beautiful property for those people who are looking for investing or purchasing home for the family purpose. The project is located at world- class premium location with all sophisticated and classy services. 3 BHK and 4 BHK apartments at Kalpataru Vista Sector 128 project are intelligently designed with spacious kitchen along with a servant room. Spacious living and dining rooms are fully planned and ensure proper space utilization and cross- ventilation of air and natural light. Located in the beautiful township of the sector – 128, the project is in close proximity of places like Greater Noida, Metro Station, Yamuna Expressway, International Airport and the proposed Faridabad- Noida – Gurgaon Expressway. Various School, institutions, clinic grocery stores are located within 5 Km radius of the project. School like Amity International, Lotus Valley, DPS, Somerville, Shriram and Vishwabharti are only 15 min drive from the project. Hospitals like Fortis, Apollo & Max are also in close vicinity of the project. The company has provided amenities like state-of-the-art gymnasium, swimming pool, yoga desk, jogging track, kids play area, table tennis, multipurpose room, gardens, club house and much more. You will surely love to spend your precious time while socializing with other residents in the common areas. Homeowners planning to make an investment in a luxurious property in NCR should have a look at Kalpataru Vista Noida Sector 128. The social infrastructure around the estate is also well - developed. The property price will increase soon and it is right time to book an apartment here to enjoy the better ROI or to give a luxurious and classy living experience to your family. Apart from this, the developer is also offering multiple payment options to make your purchase easier. So, have a look this property and make a smart decision to enjoy luxury at fullest.